Silent Sky Project#18 Februari 24th 2007, 4.40 – 5.10 pm, 2 participants, Melbourne, Australia. 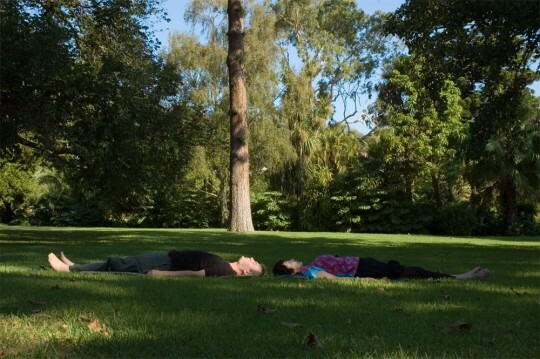 Two members of a meditation group looked at the sky in silence in Fitzroy Gardens, near the meditation center. After the action the experiences are shared and videotaped.